DietBon Review : Jean lost 23 kilos in 9 months with Dietbon ! 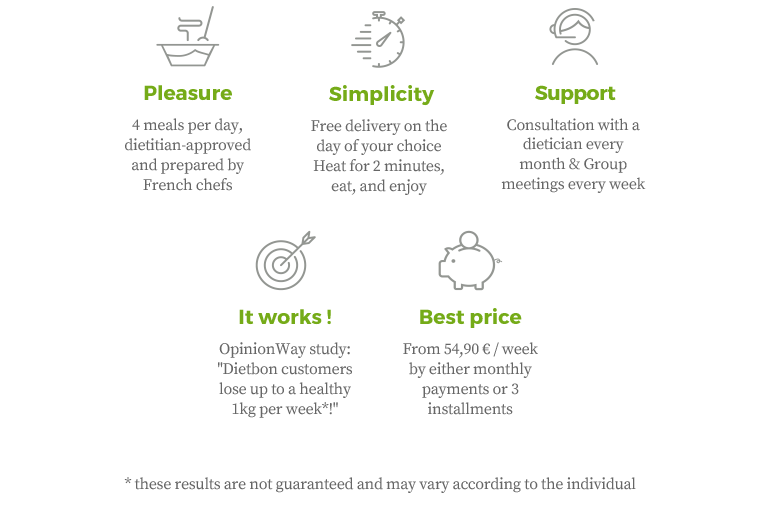 "Dietbon really helped me to change my lifestyle and improve my eating habits"
My weight problems really began when I stopped working in 2012. You could say that I made the most of it – the additional meals and alcohol contributed to my love handles! After having tried several diets as well as surgical operations (a gastric band and sleeve) which were not successful, I decided to take myself in hand, this time for good. It was out of the question for my weight to stay at 105 kg. So, I took the advice of my brother who was following the Dietbon program with his wife and I started my Dietbon adventure in May 2018. And what a great surprise! After just a month on the program, I had lost 6 kilos. I had considerably reduced my alcohol intake, had more energy and was less breathless! It simply never felt like a diet. I enjoyed my meals and I am still enjoying them today. The meals are tasty, varied and balanced and I am never bored which is in my opinion the most important point. For the last few weeks I have moved into the weight consolidation phase. In line with my objectives, I am continuing to lose weight slowly. I have improved my eating habits and replaced my alcohol with sparkling water as well increasing my level of sport.